As one first-level discipline in management science category, Public Management embraces the characteristics of multidisciplinary integration involving Management, Economics, Administration, Politics and Sociology, etc. Its research methods emphasize the combination of qualitative and quantitative methods and its research areas emphasize the connection and infusion of public management theory and practice in specific areas. 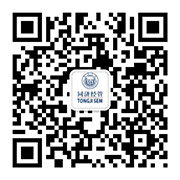 Public Management in Tongji University consists of five research orientations including Administrative Management and Urban Governance, Sustainable Development and Management, Social Development and Public Policy, Land Resource Management as well as Public Health Management. On one hand, it highlights the integration of Public Management theories and sustainable development goals of Tongji University. On the other hand, it especially integrates the discipline advantages in Economics and Management, Politics and Administration, Urbanity and Community, Project Management and Civil Engineering, etc.